Responsible for all branding, site content, marketing, communications, and operations of the website. Led team of marketing and content professionals, PR agency, and technology consultants. Made significant improvements to the functionality and look and feel of the Believability Meter. 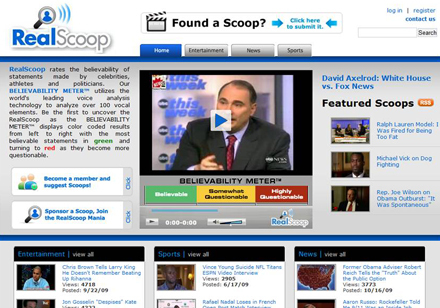 Click here to see the RealScoop Believability Meter in action (40 sec).